Trained editor and writer, college writing instructor, writing center tutor (in-person and online), online course consultant, essay exam scorer and consultant, fiction and non-fiction editor. I have served as a tutor at the Indiana University Writing Center at Indianapolis and the University of Maryland Effective Writing Center (online), tutoring all levels of clients, including undergraduates, graduate students, faculty, and staffmembers. My experience with ESL clients is extensive, and I have worked closely with several ESL graduate students on research articles and dissertations. I have also taught and tutored many remedial and basic writers. My handouts on such writing subjects as essay introductions and conclusions, comma use, and topic sentences are currently used by several writing centers. Finally, I have been an in-classroom writing adviser/coach for many graduate and undergraduate courses, including all levels of composition and literature courses, business and management courses, and upper-level information-science classes. I have taught and tutored students in many disciplines and documentation formats (APA, MLA, Chicago). As an instructor, I have taught composition, business writing, technical writing, research writing, remedial writing, analytical writing, argument writing, and literature at a major state university (Indiana University-Indianapolis), a community college (Ivy Tech), and a private university (Butler). I was one of the first writing instructors to teach fiction-writing online, and I give in-person workshops across the country to writing groups. I have experience at designing curriculum, individual courses, and course material. I have recently started a distance-ed design certificate program (graduate level), and have designed two online-platform courses, and many courses taught by email and forum. Currently I teach composition at the University of Maryland University College. In the University of Southern Maine low-residency MFA program, I presented programs on Writing Emotion, Writing Romance, The Literature of Emotion. I have also mentored graduate students at several stages in the two-year program. In addition, I have supervised residency-centered workshops where students read and discuss each other’s work. I have served as a guest lecturer/writing coach in dozens of online courses in many different disciplines, from Anthropology to Writing for Business. Additionally, I have coached and mentored many writers, from a NY Times best-seller to fourth-grade students. 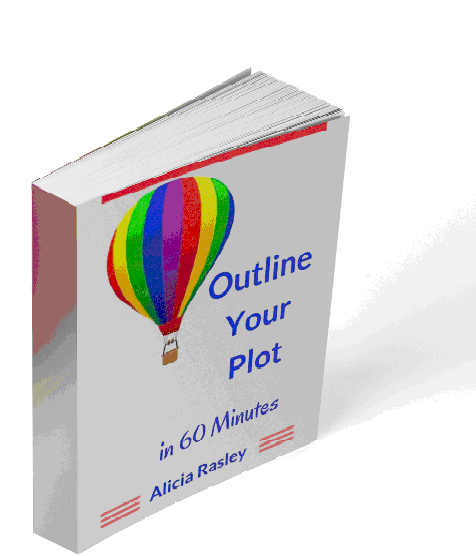 I offer creative writers both acceptance and analytical strategies for plotting and revision. I am experienced in online classroom platforms including LEO, Blackboard, Tycho, Oncourse, Moodle, D2L, Haiku, email and chat delivery, formats and apps such as wiki, discussion forums, blogs, interactive video, audio, chat, conference call, writing labs, interactive database. I am trained and experienced in teaching research writing, including all the main documentation styles, especially APA. Edittorrent: A popular blog discussing editing and writing issues. The Writer’s Corner: A website with dozens of my free writing articles. Nine novels and two writing books. Many articles in trade magazines such as Writer’s Digest and RWR. Keep It Positive: The Art of Affirmative Advising (a manual for online faculty and writing centers).